It’s so wonderful to see a reprint of the classic A Pocketful of Rhymes, by the late Max Fatchen. Second Look, an imprint of Christmas Press, is breathing new life into old favourites, making them available to a new generation of readers. 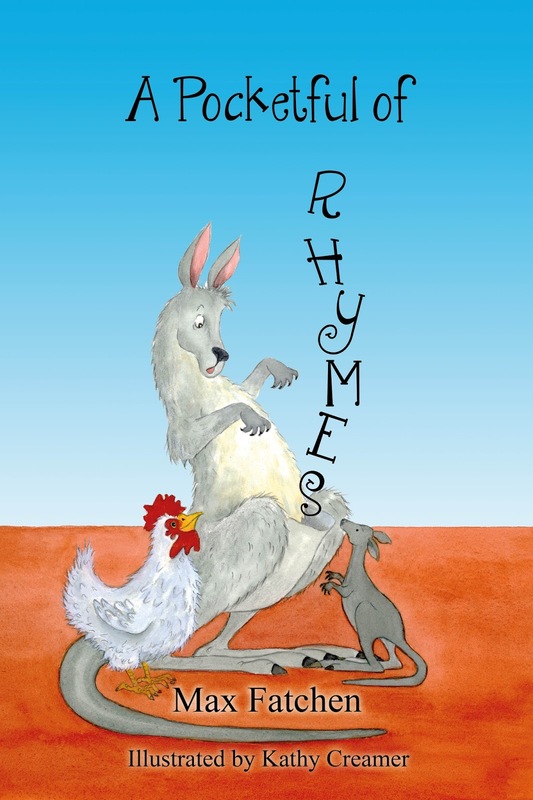 The rhyming poems are quirky; most with crazy or twisted endings. No subject is safe. From pole-vaulting to dentures; light switches to switching off teacher’s talk, there are no boring bits anywhere. Lots of fun, strong rhythm, rhyme and sound are what you’ll find between these colourful covers. Meaning is reinforced by using repetition. Snappy alliteration and assonance creates a tongue-twisting challenge. I’m thrilled to see this book. As a poetry lover, I long for children to have access to poems that are so imaginative and clever being brought back to life. They are designed to inform, educate and entertain, bringing smiles and laughs to the reader in the process. The poems vary in length. Some are short and sweet 4 lines. The 3 – 4 word sentences are as brilliant as the lengthy poems. The illustrations complement the poems beautifully. Kathy Creamer’s translation of the poems is to be complimented. Overall, this is a welcome publication that should be in all schools and libraries in general. Check out other favourite titles available through Second Look, and those that are forthcoming.